In regard to your recent article “Chemtrails Aren’t The Geoengineering Debate We Should Be Having Because Chemtrails Aren’t Real" yes, “chemtrails” (the term you chose to rely on in your article) is not a science term, and thus not “real”. This being said, Mr. Wagner, geoengineering / climate engineering / solar radiation management / stratospheric aerosol injection / cloud albedo enhancement, etc., are verifiably (semantics matters) ongoing realities. This fact / conclusion becomes apparent to any who have the courage to do an honest investigation of available data / documents / lab tests / film footage / photographic evidence, etc. In your article your denial of climate engineering relies on a survey conducted by geoengineer Ken Caldeira in which scientists were asked if “chemtrails” were “real”. Were you aware, Mr. Wagner, of a similar survey (of the very same scientists and 1430 more) which used the science terms in the survey? When the actual science terms were utilized, "climate engineering", "geoengineering", "solar radiation management", "cloud albedo enhancement", 100% of the scientists surveyed refused to deny the climate engineering reality on the record. A legal team working directly with GeoengineeringWatch.org is actively pursuing legal avenues to force public disclosure of the illegal climate engineering operations. In addition to our legal action in Canada, our ongoing lawsuit against the US Department of Commerce (the overseeing agency for NOAA) will soon produce thousands of documents relating to the weather / climate modification / engineering operations (documents which the DOC / NOAA have been ordered to release to us). Mr. Wagner, your strategy of obscuring the climate engineering reality by attempting in your article to associate this subject with fringe theories is nothing new in disinformation circles. In your article you correctly address the grave dangers posed by atmospheric particulate pollution, yet you do all you can to divert your readers attention from climate engineering as a major source of atmospheric particulate pollution. In a 2011 report NOAA admitted on the record that atmospheric aerosols have skyrocketed since 2000 and the source of this escalation could not be identified. Why wouldn’t (or couldn’t) NOAA acknowledge geoengineering atmospheric aerosol dispersions as a source of particulate pollution? In addition to US government scientists having no first amendment protection, and in addition to confidentiality agreements being standard for so many government positions and posts, now there is the illegal federal “gag order” on all National Weather Service and NOAA employees to consider. Why no mention of these facts, Mr. Wagner? Whatever your motive for participating in what can only be considered a campaign of climate engineering cover-up, rest assured that we, at GeoengineeringWatch.org, will do our best to publicly expose you (and all those like you who are participating in the climate engineering cover-up) to populations that deserve to know the truth about the ongoing highly destructive and dangerous geoengineering programs that were long ago deployed without public knowledge or consent. The “earther.com” climate engineering disinformation article authored by Gernot Wagner is below. Inserted in red are my responses to Wagner's false statements. Authors of disinformation articles (like Gernot Wagner) utilize the non-science "chemtrails" term as much as possible, this is a part of their disinformation strategy. Mr. Wagner is simply parroting the official narrative regarding "contrails". Wagner is apparently completely ignorant of the high bypass turbofan jet engine design characteristics which make actual "contrail" production nearly impossible, except under the most rare and extreme of circumstances. High bypass turbofan jet engines are standard on all commercial carrier aircraft and all military tanker jets. Motivations range from weather modification (and yes, there are serious research efforts on that topic, too) to mind control or worse. No surprise, Twitter and other largely anonymous online fora allow this community of conspiracy to flourish—necessitating responses showing that no, NASA does not have a “cloud machine” but is instead testing its rocket boosters. Mr. Wagner attempts to associate fringe and non-credible claims with legitimate data that confirms the climate engineering reality. In regard to the particular subject Wagner cites, NASA's "cloud making machine", Geoengineering Watch has also exposed the same disinformation. Citing this type of disinformation is Wagner's attempt to distract his readers from the hard facts that confirm the climate engineering reality. Internationally recognized award winning medical professionals have already acknowledged the dire health threat from climate engineering particulate pollution, yet Wagner ignores such information. Why? Accusations from Wagner like the one above are yet another standard form of distracting readers from credible data. Whatever the motivation, the “evidence” presented in favor of the conspiracy does not add up. Conspirators often argue that all one needs to do is look up. Scientists have. What they see are contrails: trails largely made up of condensed water vapor. It is the same effect that occurs when you breathe out on a cold day. Mr. Wagner, if a person walks a mile in very cold conditions (when their breath is seen condensing), have you ever seen an expanding long lingering cloud resulting from this condensation? Or from an automobile under the same conditions? No, never. If the air is sufficiently cold and moist, a plane’s mere turbulence can cause a contrail to form. Adding exhaust from a jet engine aids the process. Mr. Wagner, of course, does not mention other historical publications from Popular Science (and other sources) that fully acknowledge the weather warfare reality and the greats posed by it (going back nearly 7 decades). And with the statement above, Mr. Wagner reveals his real motives, lobbying for climate engineering operations. Like geoengineer Dr. David Keith, it seems Wagner does not consider geoengineering to be a "moral problem". But these arguments are a far cry from claims that contrails are really “chemtrails,” that thousands of commercial planes aren’t “merely” emitting massive amounts of CO2 but, for example, are deliberately spraying alumina. Aluminum oxide, in one’s soil, is presented as “evidence” for chemtrails. It isn’t. Aluminum is the third-most abundant element in the Earth’s crust, and aluminum oxide is its most common form. First, Mr. Wagner, if jets are not intentionally dispersing materials into the atmosphere, why have they been retrofitted with spray nozzles aimed directly into the jet exhaust stream? This chosen location for spray nozzle mounting gives the desired appearance of the jet engine emission being "condensation", which it is absolutely not. Other supposed explanations are even odder and wholly unbelievable to scientists having looked at the topic. Wagner's reference to an orchestrated "chemtrails" survey, of course, does not acknowledge the complete absence of willingness of the same scientists to deny the climate engineering reality when the science terms were used. Mr. Wagner fails, yet again, to mention the fact that US government scientists have no first amendment protection, are generally required to sign confidentiality agreements, and now have an illegal federal gag order placed on them. Mr. Wagner makes clear he sees no reason to actually investigate the climate engineering reality since the official "contrails" narrative has not yet been challenged by institutionally funded scientists for reasons already stated. Radio show host Geoff Brady (from Pacifica radio station WBAI in New York) formally invited Mr. Wagner to discuss / debate the geoengineering issue on air with me, Dane Wigington, from GeoengineeringWatch.org (WBAI has hosted other debates with experts on the critical climate engineering issue). Mr. Wagner promptly declined the invitation to discuss relevant facts related to the ongoing climate engineering operations (in spite of what he stated in the closing statement of his geoengineering disinformation "article" in the quote shown directly above). Yes, I did see the article. I think it would be important to open this dialogue. I would moderate to ensure no one talks over each other and the full viewpoints are expressed in the time given. This opportunity is granted by the listenership of WBAI. They want to hear differing opinions. Many thanks for the invitation. I will have to decline. We must collectively stand against the power structure's well organized and funded disinformation organizations and individuals. We must work collectively in the effort to expose the same. Sharing credible data from a credible source is key, all of us are needed in the critical battle to expose and halt the ongoing global geoengineering operations. NASA does not have a cloud machine, but instead is testing it's rocket boosters! That statement sums it up, on how Gernot Wagner always has an alternative, to give us a reason why, we see what we see in the sky above, when we look up! Of course he does not want to admit Climate Engineering has been deployed for decades, by saying it's currently being researched, like after the research is complete, it would be good for cooling the Earth. People who don't believe??? Look up in the SKY. Open your eyes. If you live in the Northern California area? Look at the Sutter Buttes. I have lived here all my life. I don't live in the valley anymore because I can't breathe. But, there are trails every clear day we have. There are no more clear blue skies. Even after rainy days. It may start out clear. But, then here come the damn chem trails (I count them every day) and pretty soon the whole sky is GRAY. Wake up and look at the sky. On really gray days, you can almost smell the chemicals accumulating in the valley floor. I've noticed that when you don't have any morals you tend not to have any kind of moral problems. Heck, you do whatever you want, no problem– let the damned chips fall where they will, not a problem if you don't bother to notice that you've created any problems 🙂 To to that it means you can't have any kind of real empathy, ability to imagine and feel the feelings of others, walk a mile in their shoes. Being without empathy is the definition of the term "psychopath." We have a lot of those floating around. All they care about is money and the power and control it affords them. Listen to these little @$$holes who "made it big" with their massive psychological operation you know as "Facebook:" https://www.youtube.com/watch?v=J54k7WrbfMg&nbsp; Sean Parker says that they knew they were doing something bad and they did it anyway– like, he reeeaally cares, he's crying all the way to the bank, to quote Liberace. And Palihapitiya is still in luv-luv-LUV with Munneee and now wants to remake society according to his own terms. Why the f*ck can't we make our own decisions about the kind of societies we want to live in, and not keep letting these rich a**holes push us around all the f**king time? The power structure lie through their teeth as Satan (real) does. As Bob Dylan sang in "Slow Train Moving", you have to serve someone, will it be God Almighty or the Devil, you will serve somebody. There is no in between my brother from a different mother, Evil exists as you say for greed & perceive power. The devil always points the finger the other way to keep ones eye on the real truth. Dwight Eisenhower said in his exit of Presidency to beware of the Military Industrial Complex. Way to many lobbyists and politicians & corrupt people on the take for the here and now in this world. We all have free will to do, but believe it there will be hell to pay for all the evil done. I won't lay any Bible thumping words on you, we all have free will. You believe what you may, & I'll believe what I will. I've called Washington D.C, only to have concerns fall on deaf ears in the last 14 years, we are all in this fight! Thank You….There are Christians who don't believe what we see and talk about here? It's everyone's responsibility in this country, #1 supposedly to do something about these atrocities, but again not everyone believes all this ongoing evil. Like there is good, there is evil you know. Being evil is a sin nature, why do some people have a conscience while others don't? SAG/SRM constantly here in Southwest, New Mexico-USA, from an American. Mind you I didn't put a proud American, why would I want to yoke myself with the evil we see around us in this country and world? We all got stickers from my 17 year old granddaughter for Christmas she ordered on line that had to do with each individual's passion. I got several, but the one that stood out was the one that was about 4 inches long with an airplane going up at an angle with long trails behind it with the words, "open your eyes", and underneath those words was, "geoengineering is not ok". I put this sticker on the drivers side back window and the sticker is black on white, so it shows up well on my tinted window of my black car. I notice that people stop to read it when they walk by my car. This same granddaughter thought I was crazy when I talked about the spraying in our skies, but she doesn't anymore. Everyday I am saddened by the fact that she and my other granddaughter may never get to reach their dreams. Their lives will be cut short by these psychopaths who are doing this to us. Keep up the fight Dane. You are doing an amazing job that not many have guts or the will to do. I thank you, and all of you out there fighting to spread the truth. In my lifetime there have been two books I Just. Could. Not. Finish reading. The first one was quite unpredictably on the best-seller list for a number of years running back in the 1960s when I was in grade school, and made quite a stir. It's titled The Rise and Fall of the Third Reich, and I have a copy sitting on the shelf in my personal library. The second one is titled Fire and Fury: Inside the Trump White House…. every chapter, every topic, just ends up exactly the same way as the last chapter, with the last topic, like a really bad dream, like trying to get out of the Hotel California (really Anton LaVey's Church of Satan, which the Eagles stupidly joined… idiots: https://video.search.yahoo.com/yhs/search?fr=yhs-avast-brwsr001&hsimp=yhs-brwsr001&hspart=avast&p=welcome+to+the+hotel+california+lyrics#id=12&vid=c9972994e3e644ad39a92ded860f5570&action=view). We stupid stupid humans get in line behind stupid, stupid men and will follow them right over a cliff if that's where their "Wise Master" insanity leads, because we are just too f**kin' lazy to think and act for ourselves. Humankind allows itself to get into these toxic destructive paradigms and like turtles on fence posts, our "brilliant" first-grade boy leaders don't know where we are, claim they don't know how they got there (think: Facebook execs) and have no idea how to get out of the situation they've allowed themselves to get into. Just seeing pictures of these dead and dying forests, let alone taking walks where I once very much enjoyed being under the nurturing shade of healthy trees and seeing the state WE have put them in now, makes me feel like I do when I try to finish these books. The reality they represent, the kind that too many don't notice or care to examine, is, like the dying of the forests and the oceans, posing extreme danger for every single living thing on what used to be God's Earth. It is giving me something like a terminal spiritual nausea, the kind you'd feel, I imagine, when you get handed a terminal cancer diagnosis, with less than six months to live, the kind you'd feel if you just found out someone had laced your coffee with a lethal dose of poison, like, say, cyanide… the kind of poison that kills you not too fast, with a lot of twisting and writhing pain along the way… I have had a pretty strong stomach for reality but at this point what's happening here is so massively terrible it is making me so sick I just don't think I can look. Extrapolate this reality out into the future…. days so hot you cannot go outside… crop failures, massive starvation, no water to drink. It would be more merciful if we all just ran out of oxygen and suffocated at once. This is like Jonestown. Those people will have suffered less than we will once the full fury of the heat and the drying takes over. The military motherfckers will dive underground and hide but they, along with their chain-yanking order-barkers, will just be the last to go. Dennie, My Dad insisted on reading; The Rise And The Fall Of The Third Reich by: William L. Shirer, before he died at 72. He was busy with supporting a very large family & had no time to read. But this one was important to him to read before passing. He was a soldier in WWII & inlisted at 17 years old. Can you concieve of that. I have his copy of that book on my book shelf. Someday, I will get through mine. They say, it's The Book That Shook The Conscience Of The World! take a drive from oakhurst california to yosemite valley and dont act surprised if what you see is large scale death. the logging crews cant keep up with the massive die-off to rid the areas of dead tree fire threat. Or leave 41 and head toward Bass Lake then turn left and head up Beasore Rd. Guaranteed tears if you feel at all ! Dane makes reference the NOAA gag order in the above email exchange. The first link below refers to the illegal nature of such a “gag” order. In my opinion, “executive orders” of this type also represent a clear violation of First Amendment rights regarding freedom of speech. (4) by means of any scheme, plan, or pattern intended to cause the person to believe that, if that person did not perform such labor or services, that person or another person would suffer serious harm or physical restraint, shall be punished as provided under subsection (d). (b) Whoever knowingly benefits, financially or by receiving anything of value, from participation in a venture which has engaged in the providing or obtaining of labor or services by any of the means described in subsection (a), knowing or in reckless disregard of the fact that the venture has engaged in the providing or obtaining of labor or services by any of such means, shall be punished as provided in subsection (d). (1) The term “abuse or threatened abuse of law or legal process” means the use or threatened use of a law or legal process, whether administrative, civil, or criminal, in any manner or for any purpose for which the law was not designed, in order to exert pressure on another person to cause that person to take some action or refrain from taking some action. (2) The term “serious harm” means any harm, whether physical or nonphysical, including psychological, financial, or reputational harm, that is sufficiently serious, under all the surrounding circumstances, to compel a reasonable person of the same background and in the same circumstances to perform or to continue performing labor or services in order to avoid incurring that harm. I hope individuals who've been threatened with "gag" orders are coherent enough to notice the blue highlighted links referring to "serious harm". What are you people thinking? Hey Mr. Vonharnish, obviously these rats believe they are above the law & the people. Oppression is not supposed to be allowed on any human being on this earth on any level. Thanks, and I hope your health is well and continues…. Thanks to your efforts and unflinching determination Dane the truth will prevail and the lie will be revealed to all. WE MUST STOP THE MASS-KILLING AND REMOVE THE CURRENT ADMINISTRATION/AUTHORITIES WHO ARE PAYING TO PROPAGANDA PUPPETS FOR “SUPPLYING” PUBLIC WITH THESE INCOHERENT, OUTRAGEOUS LIES… These "educators" have no legal right to exist. It Hurts !! even to listen to the brainless idiocy Mr. Gernot Wagner cooks up for his “presentations” and “explanations” on geoengineered “contrails”.. He is a clear-cut criminal. Bless you, Dane. You're the most brilliant, powerful leader in this hellish war for our very life!! VSF: The US, UK and France Have ATTACKED SYRIA. This is a tragedy and may be remembered by all as the beginning of the complete dissolution of western civilization. These insane monsters want a nuclear WWIII and are doing exactly what is necessary to provoke it. Life will dramatically and drastically change now for all of us. Our priorities will simply not be the same. I gently suggest you forgive everyone you have held animosity towards — and as the days unfold, what mattered before will seem like nothing, of no importance. Remember to love, love others, and God in whatever ways you are drawn to. May the all forgiving God Bless this besieged planet. – 1st target = SSRC facility in greater #Damascus, used for R&D & testing of chemical & biological warfare agents. – 2nd target = CW storage facility, west of #Homs, used for Sarin. – 3rd target = CW equipment storage & command post west of #Homs. Mattis: "Right now, this is a one time shot." Says he believes Assad will get the message and be deterred from doing this again. Dunford said they used deconfliction channels with Russian counterparts. Limited strikes to avoid Russian involvement. Dunford said they did NOT give the Russians any warning !! Statement by the Ambassador Antonov on the strikes on Syria: A pre-designed scenario is being implemented. Again, we are being threatened. We warned that such actions will not be left without consequences. All responsibility for them rests with Washington, London and Paris. VSF: We will increasingly value Life and Love as these dread days pass. May this 'Wedding Song' remind us all to celebrate Love, Life and the Living. Forgive the sentimental old woman here. VSF: According to my research there wasn't chemical attack. It was a ruse. Defense Secretary Mattis stated on the record he has no proof there was a chemical attack. Many others say the same. It's yet another pre-planned false flag attack upon yet another ME nation. Israel wags the dog = PNAC= 911. Meanwhile here in my skies over central Mendocino County, Northern California, the gloppy snow has dissolved. And the expected sunshine was assaulted with jet induced aerosol spraying non-stop all day long yesterday. What is a chemical attack but this crap? My sinuses are so messed up. I feel as if I have a perpetual uncomfortable mild head cold all the time. Sneezing fits. Runny nose. And sunshine dimmed with odd bursts of freaky wind gusts. I have not looked out and up this morning to see if my daily chemical attack is lurking about. There are no sounds of aerosol jets, yet. Well, as suspected, it turned into an insane publicity stunt. The Trumpinator showed them! Another for-show invasion hitting nothing of import and declaring victory on the way out. With most missiles apparently being intercepted. Intentionally, no Russian toes were stepped on, so it fortunately didn’t go any further. This time. Thank you Dane for all you do! I dedicated my privacy fence to your organisation. A great big sign on my corner lot saying Geoengineeringwatch.org is waking up my neighborhood. I plan to add some flyers too. Whatever I can do to help wake those who have eyes, but can't see. I' so proud of my new sign! I wish I could share a photo. Our grandchildrens future is at stake! Debra Tanner, I'm proud of your new sign too! Please send Dane a picture through email so others can see how easy it is to make a difference in this fight for the greater good. I wrote to this little prick as well.. I basically let him know that we aren't going to stop until this is exposed..and when we do find out we would be handling our business concerning "him" & people like him. Also posed a rhetorical question as to why he won't debate and discuss this topic w/ Dane……i have yet to hear back. This man knows and is a coward. 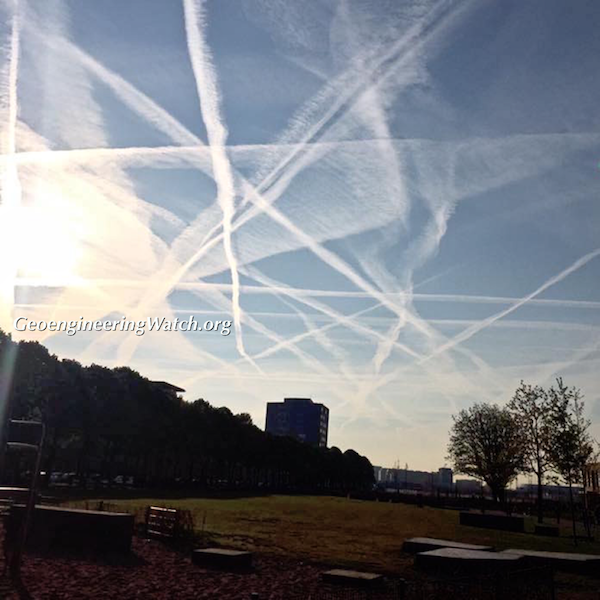 Ok, Mr. Smart Wagner….So what we see in the sky are contrails? Airplanes fly every single day, so there should be "contrails" in the sky every single day – right? So tell me….how come on SOME days there are NO "contrails" at all? What happened? Did ALL the planes suddenly stop flying on that particular day? On some days i see NO "contrails" at all. All i see are big fluffy REAL clouds. Where are the "contrails"? It would appear that whoever is "making" these "contrails" stop making them on certain days. Why? No planes flying? As you’ve said before, Dane, when you started out in this battle, all you heard was your own voice coming back at you. I just want to take a moment to point out how great it is that you’ve gained so much direct opposition(!). You are definitely on top of it all and have made enough people aware that those who want us to go back to being small and inconsequential are up to all kinds of dastardly pranks to try to discredit. To everyone else, even though it is infuriating, we do need to keep our heads about us/stay calm, carry on. We know the facts are on our side, so we just keep referring back to the facts. Don’t waste too many moments in awe of what levels the opposition is willing to sink to. There seems to be an awful lot of money and time being poured out right now to confuse and discredit the issue, and Dane does not have those luxuries. (He just has us). Onward and upward, my friends. Gernot, Gernot, Gernot……………………………………………… Now why wont you do the "D E B A T E" with Dane Wigington on WBAI Radio in New York??? Are you…………….. S C A R E D that their might just be………… A WHOLE LOT MORE OF US THAN YOU REALIZE, WHO WOULD BE LISTENING IN TO HEAR Dane just RIP YOU APART WITH………………………………………………… NON OTHER THAN FACTS???? Ahhhhhhhhhhhhhhh, Gernot………….. come on and be a good sport, and stand on your Pathetic Harvard Platform and allllllllllllllllllllllll of your SCIENTIFIC knowledge and education, and D E B A T E DANE LIKE A REAL MAN!!!! There's that term again: "consensus science". The term suggests that the most important scientific discoveries of record, were the result of "consensus science" rather than the independent work of a small group of inspired individuals. Watch out for terms used. 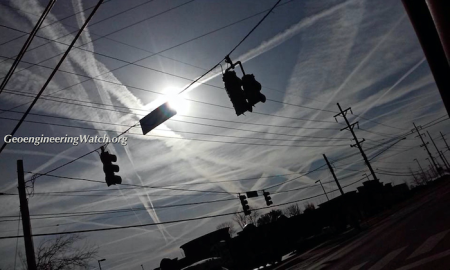 BaneB…..You are being bothered by this spray in the sky? So stop breathing IN the stuff. Be proactive and take steps to preserve your life. This "stuff" will take years off of your life. Wear a mask outside in the yard – all the time! One of those painters masks. I do it. It's no fun, but i do it even going outside for 5 min to let the dog out. We can't avoid it 100 percent, but hopefully breathing in less will give us longer to live. When i go from the car to the stores i hold my breath or i breathe into my sweater sleeve. Uncomfotable, but i refuse to continue to breathe in this poison anymore. Even inside our houses and inside our cars is this stuff!! I did the flashlight test at nite and i saw the particulates in the car and in my house too! Outside is a LOT more though so i do my best not to breathe it in while outside. I realize i have already breathed this stuff in for the last ten yrs and even longer. I didn't know or see this stuff before i did the flashlight test which i read about here. I wouldn't have known if i didn't read it here. So now i am taking steps to breathe in less of it. I hope it helps. I also put Silica/diatamacious earth in my drinking water as i read that it removes the heavy metals we breathed in. Take steps to preserve your life. When i walk to the stores from the car i breath into my sweater sleeve and if people look i don't care anymore. I need to take steps to prevent my body from getting sick from this "stuff". If people ask me why i will tell them. So far no ones asks. They are like zombies. Would it be possible to take chemical analysis equipment up in a plane, fly into a trail, take a sample, and analyze it with no edits, with maybe an interested local politician participating? It would make quite a show – and maybe encourage others with more money to repeat it in an even more impressive way. It is something everyone is waiting for, and Lord knows the time is overdue – and the cool part is you could do it ANYWHERE!! Hello, Frank, yes, we are working on this, but for the record, such testing is very difficult to get right, and very expensive (for many reasons). Brilliant rebuttal, Dane Wigington…as usual!!! Thanks Dane for all you do ! You are someone that I admire for your tenacity and compassion for all living things. I will fight with you in this battle until my dying breath. in his article any serious researcher would be interested in. Thank you Dane for keeping it real in the face of such deception and double speak. I in the past have not always been able to maintain logic dealing with the trolls on this suject. I've been good lately. I came across this recently and wanted to share w/ everyone.